One of the challenges of future high-energy physics experiments at the high-luminosity LHC is to re-duce the passive material in the sensitive volume of the inner tracking detectors while increasing the granularity and complexity of the detector systems in order to cope with the increased occupancy. Moreover, the upgraded trackers will have to be cooled to a temperature of below -20°C in order to allow for an operation in the harsh radiation environment. For both, the future CMS tracker modules and the ATLAS Silicon Strip Upgrade, the requirements of mechanical stability, heat transport and material reduction leads to multi-layer sandwich constructions of various materials with different properties. Our proposal aims to explore the possibility of using innovative materials for silicon tracking detectors. Starting with an initial workshop with participants from industry and academia we will review the requirements and collect the needs of the particle physics community as well as collect information from industrial companies on high-tech materials with specific thermal and mechanical properties. Ideally, with the industrial contact established, samples of material will be purchased and tested. As the issues described above are not limited to the LHC community as such, we will invite participants from the linear collider, the astroparticle and the photon science communities. 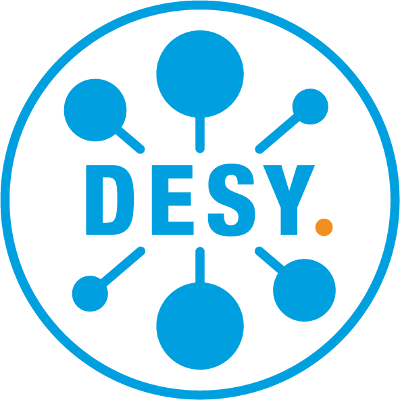 It is the scope of this project to increase exchange and cooperation between the mechanical workshops of DESY and the Hamburg University and between ATLAS and CMS. The important aspect of technology transfer and early collaboration between industry and academia will be a central role of the workshop and of the follow up activities initiated by this project. Nanocrystalline materials have been evolving as a key component in many fields of technology. For instance, the tunable light emitting properties of semiconductor nanocrystals have been used in diag-nostic bio-imaging, solar cells, and light emitting diodes. In order to be able to design nanocrystalline materials with specific requirements, it is important to study the correlation of structural and electronic properties in detail. Analysis techniques that use visible light such as dynamic light scattering and spectroscopy provide information on the size distribution and the macroscopic properties of the particles, e.g. their fluorescence characteristics. However, radiation with much smaller wavelength is needed to probe their structure on the nanoscale. By using high energy x-rays generated in synchrotron light sources, it is possible to determine the local structure of the nanocrystals in terms of diameter, shape, chemical composition, crystal structure, strain, etc. The applied method is called total scattering and involves diffraction experiments and simulations of the nanoparticle structure. Due to the high intensity of the x-ray radiation produced at PETRA III at DESY, it will not only be possi-ble to analyse the morphology and structure of the nanoparticles, but to do so in real time during their synthesis. Nanocrystals of gold and the semiconductor cadmium selenide (CdSe) will be grown in solution by mixing the reaction agents in a microfluidic jet system. This apparatus will be positioned in the x-ray beam. The results of these in situ experiments will reveal details of the growth mechanism of the nanoparticles and thus facilitate the tailoring of their characteristics. Central goal of the proposed project “Pulse Shaping of Accelerator-based THz Radiation” (PulSAR) is to judiciously tailor the time-frequency distribution of coherent THz light fields delivered by the linear accelerator-based THz source at FLASH. The great advantage of PulSAR is twofold: (i) the worldwide unique combination of ultrafast amplitude- and phase-shaped THz pulses with element (site) specific soft X-ray probes for time-resolved experiments and (ii) the worldwide unique possibility to perform these experiments in the “ultrafast THz gap”. This gap is defined by state-of-the-art tabletop broad-band THz sources either making use of optical parametric conversion (v > 15 THz) or optical rectifica-tion (v < 3 THz). PulSAR strives to transfer modern THz tabletop technology to the FEL community and to push the de-velopment of novel THz shaping devises to make full use of the power of 4th generation free-electron laser light sources. We note that the majority of chemical reactions are thermally driven processes. The ability to generate special low-energy rovibronic or phonon wave packets by tailoring coherent THz light fields at will, allows to investigate this class of reactions on the ultrafast time scale in unprecedented detail. Thus, the application of PulSAR will contribute significantly to a deeper understanding of ground state chemistry with potential applications in solid state physics such as light-driven phase transitions in complex materials.